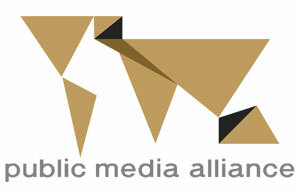 CBU partner, the Public Media Alliance (formerly the Commonwealth Broadcasting Association) has just opened applications for its 2019 Travel Bursary Scheme. Under the programme, employees of PMA member organisations can receive up to £1,500 for journalism exchanges. The bursary is provided for a media project that would benefit the bursar’s organisation, society and meet the objectives of the Public Media Alliance (PMA) and the bursary-funding organisation. As part of the project, the successful participant will also be required to plan an exchange between their own PMA member organisation and that of the country they intend to visit. On completion of the project the bursar is required to submit a report, pictures and an account of their experiences. In 2018, travel bursaries were awarded to PMA members from Pakistan, New Zealand, Bangladesh, Canada, Botswana, Lesotho and Mauritius. They included a senior producer exploring how to make better and more engaging health radio programmes; a media and content manager learning about how media regulators deal with disinformation; a product and audience lead interviewing leaders in innovation, data and digital content development; a reporter learning how to better serve multilingual communities through radio; and a media manager sharing his knowledge and approach to team building and adaptation strategies. Beyond the wider aim of developing knowledge and skills, PMA bursaries provide a unique opportunity for international networking. They also enable individuals to develop new ways of exercising freedom of expression and facilitate work on projects that support the UN’s Sustainable Development Goals (SDGs).